The peanut butter (or almond butter) and jelly classic combo truly never goes out of style in my opinion. However, some store-bought jellies can be full of extra, unnecessary ingredients that aren’t so great for you (refined or fake sugars, inflammatory oils etc.) This EASY 2 minute recipe makes a good sized batch of healthy jam that can be used in so many ways. By pairing the fruit with chia seeds, you achieve my “magic 4” of blood sugar stabilizing foods (protein, fat, fiber and phytonutrients). The cherries have fiber and phytonutrients and the chia seeds have protein, fat and fiber so this will leave you or your little ones feeling full and satiated not cranky and hungry. Bonus is that you get some gut-healthy apple cider vinegar snuck in with your PB&J! 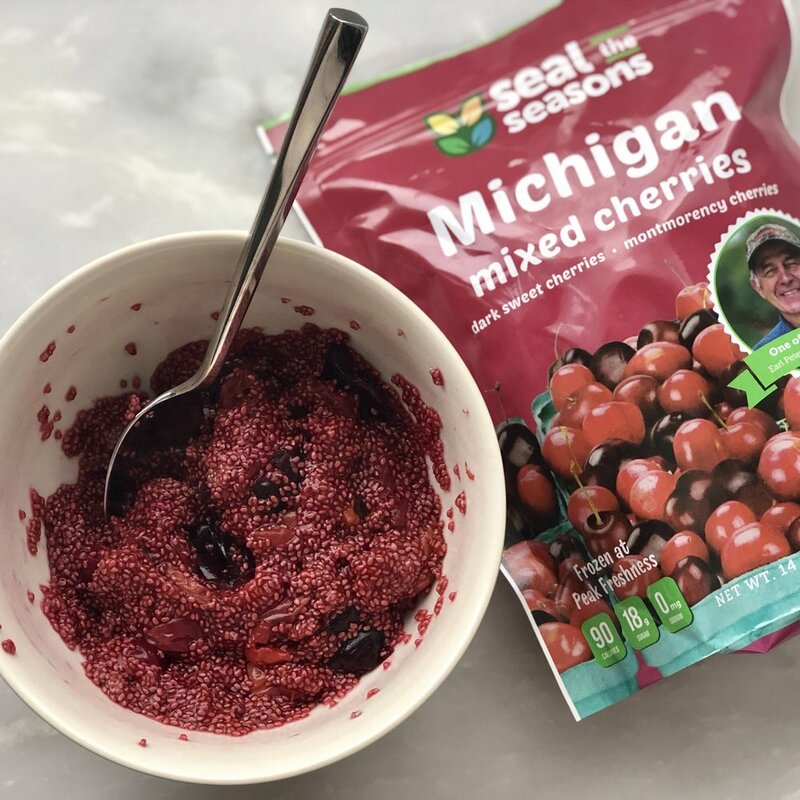 I used “Seal the Seasons” frozen cherries for this recipe but you could also try it with another frozen fruit. I love Seal the Seasons since they source locally grown produce and freeze it at the peak of freshness and are available all over the country! They strive to make quality frozen produce affordable and available to the masses, and that is something I can get behind! This pesto is dairy-free and delicious. So easy to whip up a batch and eat it in all different ways. I love to put it on "zoodles" but it is also great on any pasta (my favorite is chickpea), toast or even as a dip for raw vegetables! These burgers are packed with healthy fatty acids from the omega 3s in both the tuna and the flax seed meal. 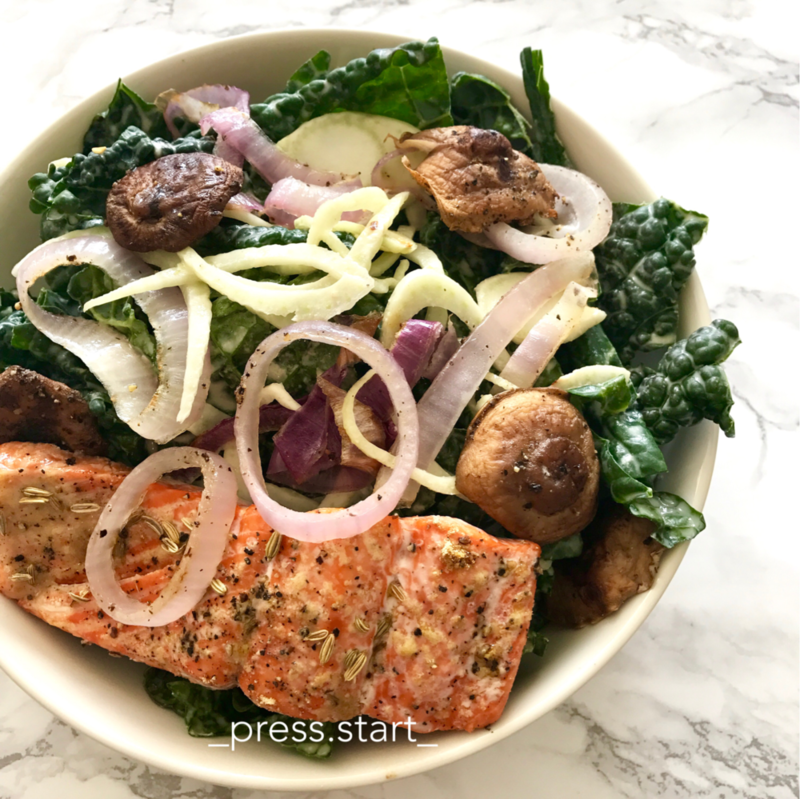 Omega 3s are especially important in the American diet since most Americans get a lot of Omega 6 fatty acids but not very many omega 3s, and the balance/equality of these two is critical to maintain optimal health. These burgers also are easy, delicious and have a great texture in my opinion. Try them topped with my lightened up avocado "crema". These lightened up version of fried chicken fingers will be sure to satisfy both your clean eating fanatic as well as your fried chicken fiend. The chicken is breaded with minimally processed, gluten-free grains to keep the glycemic index low and the coconut ads a great flavor and texture. Since these are baked, no guild from the fry-o-later! 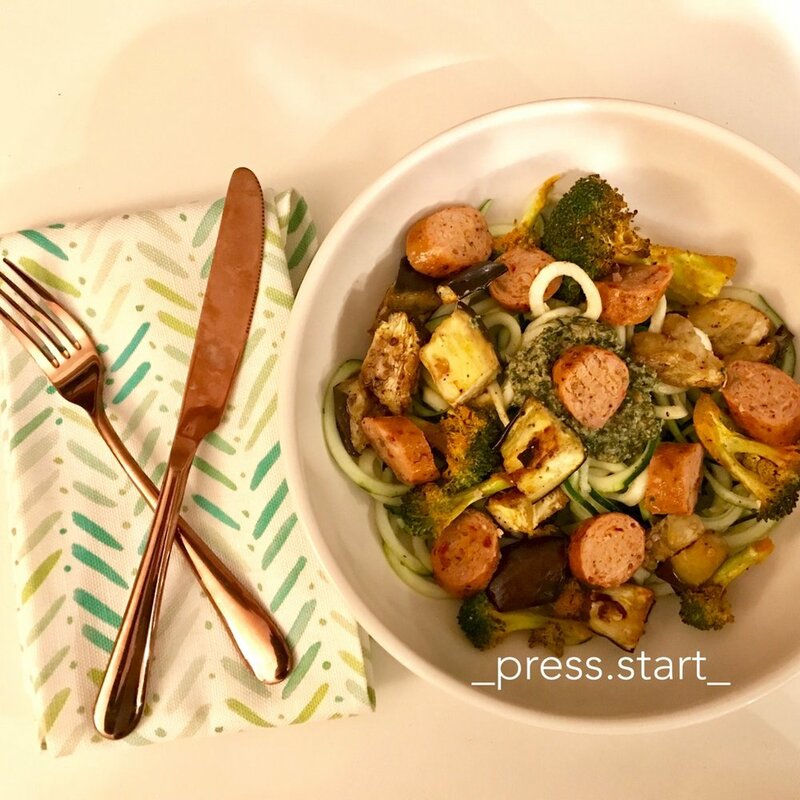 Honey mustard sauce is equal parts healthy and satisfying - this comfort meal will not disappoint. This is one of the quickest ways to make a mouth-watering dressing and it's 100% healthy!